In their seventh straight matchup against a ranked opponent, No. 11 baseball (19-9) was defeated 8-5 by No. 9 Kentucky (20-9). This is the Cardinals’ ninth loss out of 14 games after starting the season 14-0. Untimely, weather dogged the contest in Lexington as the rivals played in wind gusts of more than 40 miles per hour. The wind noticeably affected quality of play on the field, as the teams combined for eight errors, six HBPs, 14 walks and 22 left on base. Louisville had the lead twice early on, but Kentucky came back both times and shut down the Cardinal offense with their bullpen. Junior Riley Thompson received the loss on the mound for Louisville, allowing four earned runs off one hit, three walks and a HBP. The righty moves to 1-3 on the season. Sophomore Logan Wyatt helped the Cards strike first with a RBI groundout in the top of the first. Kentucky answered with a two-run double in the bottom of the inning for a 2-1 lead. Louisville bounced back with a two-run single from junior Josh Stowers in the top of the second. The Wildcats refused to give up the lead as they piled on three runs in the bottom of the inning for a 5-3 score. The teams traded runs in the fourth inning, then Kentucky used a bases-loaded walk and RBI single in the fifth inning for a 8-4 lead. 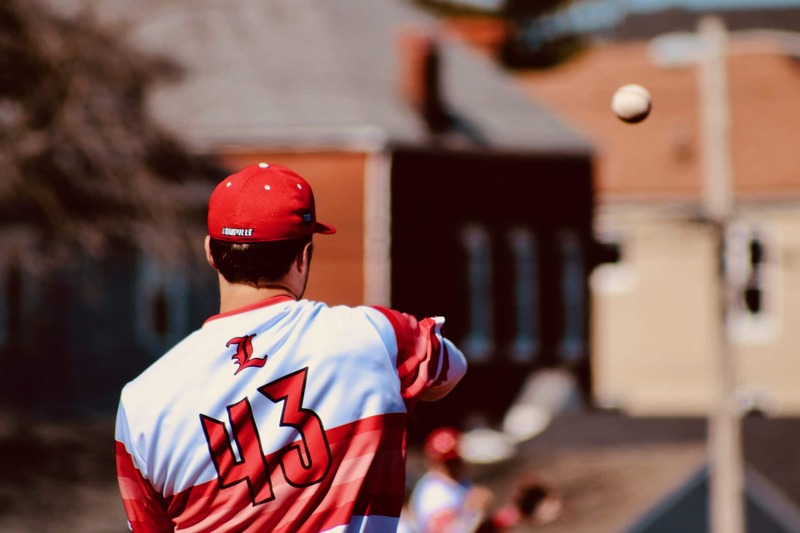 Louisville pulled within three runs in the seventh inning as Wyatt scored on an error, but remained scoreless the rest of the game. Kentucky closer Chris Machamer recorded the final seven outs, leading the Wildcats to an 8-5 victory. The Cards face NC State at home on Friday, April 6 at 6 p.m.